Described as the most widely read science fiction writer in the world, Polish author Stanislaw Lem was born on this date September 12 1921 in Lwow, Poland (Which is now Ukraine), During World War II, Lem, due to being a Polish citizen with Jewish ancestry, had to survive using fake papers, and worked as a car mechanic and welder. After the war he relocated to Krakow, where he studied medicine .In 1946, Shortly after the war , a selection of Lem’s poetry, was first published as well as a series of US popular fiction ‘dime novels’. In that same year, Lem’s first science fiction work, Czlowiek z Marsa (The Man from Mars), was also serialised in the magazine Nowy Swiat Przygód (New World of Adventures). His first novel, Astronauci (The Astronauts) was written in 1951, during the Stalinist era, and he was forced to include many references to the “glorious future of communism” in order for his published work to be approved by the Communist authorities, later in 1961 he published the novel Solaris, which focuses on the ultimate inadequacy of communication between human and non-human species. Since then, this novel has been made into a feature film three time, most recently in 2002 starring George Clooney. In 1973, he was made an honorary member of the Science Fiction Writers of America, despite being technically ineligible and openly critical of American science fiction, and in 1974 His novel The Cyberiad was first published in English. It featured a series of humorous short stories from a mechanical universe inhabited by robots. Particularly the exploits of two constructor robots named Trurl and Klaupacius, who try to out-invent each other, and travel to the far corners of the cosmos to take on freelance problem-solving jobs, which ends up having dire consequences for their employers. 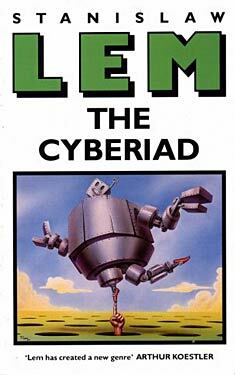 The Cyberiad also featured many wierd and wonderful Illustrations by Polish artist Daniel Mroz and led to Lem being internationally recognised for his literary work and in 1996, Lem was made a Knight of the Order of the White Eagle, Poland’s highest decoration award for both civilians and the military. Sadly On March 27, 2006 Lem passed away due to heart disease, at the age of 84, in Krakow, Poland . To this day, Stanislaw Lem has sold over 27 million copies of his popular science fiction books, which have also been translated into 41 different languages, making Use of Lem’s elaborate word formation, puns and alien/robotic language. Neil Peart the drummer, percussionist and lyricist with Canadian rock band Rush, was born September 12. Rush were formed in August 1968, in the Willowdale neighbourhood of Toronto, Ontario. The band is composed of bassist, keyboardist, and lead vocalist Geddy Lee, guitarist and backing vocalist Alex Lifeson, and drummer, percussionist and lyricist Neil Peart. The band and its membership went through a number of re-configurations between 1968 and 1974, Neil Peart replaced original drummer John Rutsey in July 1974, two weeks before the group’s first United States tour, during which they played Agora Ballroom, Cleveland, which also became Rush s very first radio broadcast and the concert is featured on the Album “ABC 1974″Since The release of the band’s self-titled debut album in March 1974, Rush have become known for their musicianship, complex compositions, and eclectic lyrical motifs drawing heavily on science fiction, fantasy, and philosophy. Rush’s music style has changed over the years, beginning with blues-inspired heavy metal on their first album, then encompassing hard rock, progressive rock, and a period with heavy use of synthesizers. They have been cited as an influence by various musical artists, including Metallica Primus, and The Smashing Pumpkins, as well as progressive metal bands such as Dream Theater and Symphony X. Rush have also won a number of Juno Awards, and was inducted into the Canadian Music Hall of Fame in 1994. Over their careers, the members of Rush have been acknowledged as some of the most proficient players on their respective instruments, with each band member winning numerous awards in magazine readers’ polls. As a group, Rush possesses 24 gold records and 14 platinum (3 multi-platinum) records. 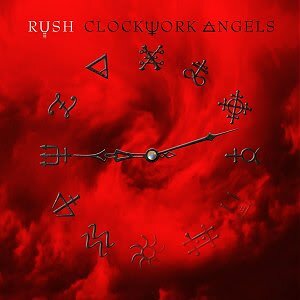 Rush’s sales statistics place them third behind The Beatles and The Rolling Stones for the most consecutive gold or platinum studio albums by a rock band.